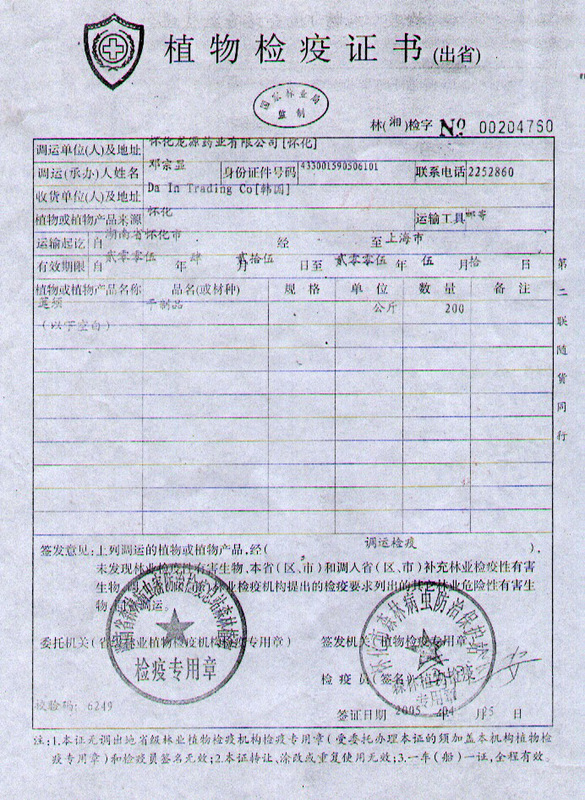 Huaihua Longyuan Pharmaceutical CO., LTD. The Advice of Approval: The above allocated and transported plants or plant products (checked by allocating and transporting quarantine), there are no harmful quarantine pests of local province (area, city). There are also no harmful pests of quarantine related to the recipient’s area or city. We agree that this product could be allocated and transported.